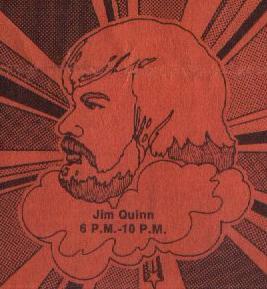 Jim Quinn was KQV's Leader. If you listened to the radio in the 60's and early 70's in Pittsburgh, you listened to Big Jim Quinn. Jim brought a change to Pittsburgh radio. He was loud, and brash, and fun ! Jim came to KQV from Ohio. Jim spent time at WLYT-FM in Cleveland Heights Ohio, went to Conneaut, Ohio, and then to WING 1410 AM in Dayton, Ohio before coming to Pittsburgh. Jim was in Pittsburgh twice. He arrived in Pittsburgh, August 30, 1967. In July of 1968, Jim left Pittsburgh for Philadelphia and WIBG. When Kris Stevens left KQV to head to sister station WLS in Chicago, it was time to bring our Leader back. 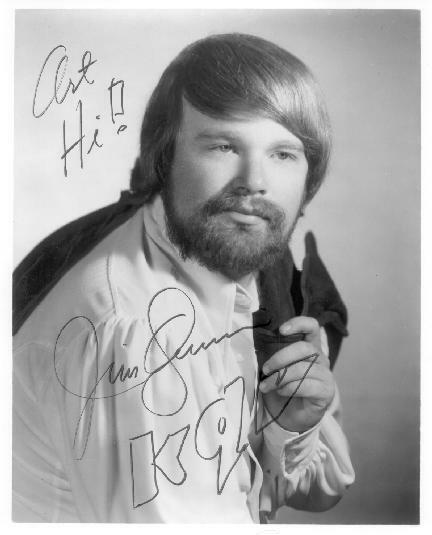 On February 8, 1969, Jim Quinn came home to KQV. 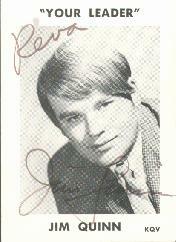 Jim remained at KQV until 1973. In 1973, Jim left for New York City where he was PD at WPLJ-FM, the ABC owned and operated FM in New York (formerly WABC-FM). Then he did the 7-Midnight shift on WPIX-FM also in New York City before going to WKBW in Buffalo. Jim calls Pittsburgh home again today. After a very successful stint in Buffalo, Jim again returned to the Steel City and 13Q (WKTQ). Since then Jim has remained a fixture on the Pittsburgh radio scene, with WTAE-AM, B-94 (WBZZ-FM) and WRRK. In January of 2004, Jim moved to a new talk station in Pittsburgh, WPGB 104.7 FM. Jim and his partner Rose Somma Tennet were also heard on WWVA in Wheeling, W.Va. and WHLO in Akron, Ohio. Quinn's syndicated show on WPGB ended on November 15, 2013 when he was unable to reach a contract agreement with the station. Jim can be heard now through his website, warroom.com It is available for paid members. Thanks to Fr. Thomas Acklin, O.S.B. at Saint Vincent Seminary for helping to update the information the Mighty Quinn.